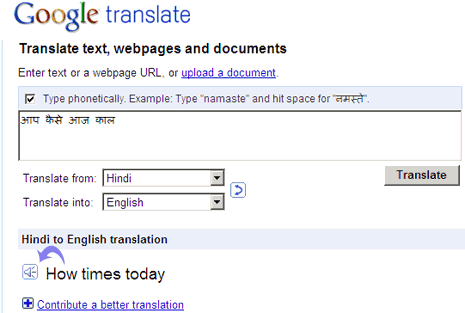 Google Translate has bumped up healthy list of new features to make language translation more easy. From now on, there is no need to click translation button, you can see translated text as you type in new Google Translate service. Interface is much neater with easy access to ‘romanization’ and ‘contribute for better translation’ options. For sure welcome feature additions, specially instant translation as you type and ability to listen translation (text to speech for English words). Translation routine just got more interesting with these features! Hi, I was just wondering if its possible to type more than a few words of writing for a translation.